BV Belk Properties has retained JLL Retail to manage and lease Lakeshore Mall, a 490,000-square-foot retail center located in Sebring, Florida. 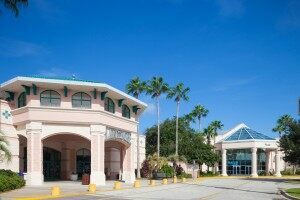 Lakeshore Mall was built in 1992, and is the only enclosed regional mall within 40 miles of Sebring. Florida Retail Market Lead John Lambert and Vice Presidents Chris Ralph and Heather Levesque are leading the JLL management and marketing teams, and Andrew Dieringer is tasked with leasing the asset. The center anchors the retail hub that serves central Florida along US Highway 27, a major north/south corridor between Orlando and Miami, where traffic counts average approximately 38,500 vehicles per day. Sebring is also home to the Sebring International Raceway, host of the “12 Hours of Sebring Endurance Race,” which is one of the automotive world’s oldest and most prestigious races drawing over 100,000 people annually. Categories: Agency Leasing, Americas Retail, Property Management and tagged BV Belk, Lakeshore, Property Management, retail.